Pensioners-owners of buildings destroyed in ATO zone require compensation from the government of Ukraine. In particular, several pensioners living in the village of Sriblianka are complaining against the government of Ukraine. A journalist of Ukrainian Helsinki Human Rights Union Oleh Shynkarenko writes about it in his blog on lb.ua. The village of Sriblianka is 35 kilometers away from the line of demarcation. Before the war, there were 1111 inhabitants. Today the most part are poor pensioners. One of them, a driver Oleksandr bought a house in the village back in 1982. "I had big enough home ownership, so I provided everything for my family to live in a large place, breathe with a clean rural air, eat eco-friendly products grown in my own garden", he told. When the anti-terrorist operation began, Sriblianka was in the area of hostilities. Several shells hit the Oleksandr's house, and as a result, only the ruins left. "On the spot where yesterday was a two-story house, a summer kitchen, a garage, sheds for cattle, the very next day there was only a huge bunch of bricks and scrap", Oleksandr said. Without a roof over his head, with little grandsons, the family had to rent a home and buy at least some of the most necessary things. The village council recorded the fact of destroying home ownership in the relevant act. The victims began to address the authorities at the rayon and oblast level, but they did not get any help because, in their words, nobody can tell who exactly fired the house. It also seems to have happened with the residence of pensioner Valentyna, who lives in Sriblianka. A shell exploded apart near her apartment. All three windows were pulled out. The explosive wave knocked out the interior doors. In addition, furniture, home appliances, personal belongings, clothes, utensils were damaged. In 2016, Oleksandr and Valentyna learned that a group of lawyers supported by the Ukrainian Helsinki Human Rights Union provided free legal aid to the victims of shelling in eastern Ukraine. They filed lawsuits against the pecuniary damage from the Ukrainian state caused by the ATO in the village of Sriblianka. "Currently, the state of Ukraine was not provided me with any other housing, the damage to the destruction of the house is not reimbursed. The Law "On the fight against terrorism" in Article 19 provided that compensation for damage caused to citizens by a terrorist act is carried out at the expense of the State budget of Ukraine in accordance with the law and with subsequent collection of the amount of this reimbursement from the persons who caused the damage in accordance with the procedure established by law. That is, the obligation to reimburse the damage is inflicted on the state irrespective of its fault and the right to claim the guilty person passes to the state, which has compensated the damage to an individual”. Valentyna specified the same reason. The sum of Oleksandr's claim to the Cabinet of Ministers of Ukraine, the State Treasury Service of Ukraine, the Antiterrorist Center under the Security Service of Ukraine, the Ministry of Internal Affairs of Ukraine, the Ministry of Defense of Ukraine and the National Guard of Ukraine is 605 256 UAH. Valentina demands 50,000 UAH from the same defendants. In addition, the plaintiffs are asked to release them from the payment of a court fee, which is a percentage of the amount of the claim and in Oleksandr's case is quite significant: 6052 UAH. The reason for the exemption from paying these funds is very simple: both pensioners earn slightly more than one and a half thousand UAH a month and simply are unable to raise the necessary amount. 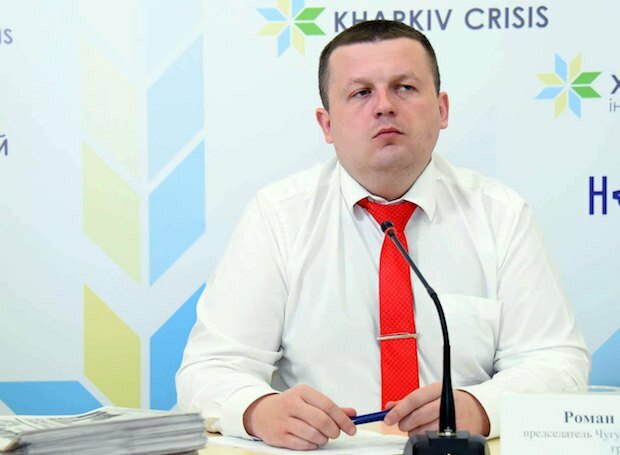 A lawyer at Chuhuiv Human Rights Protection Group Roman Likhachev notes that he and his colleagues are currently conducting about twenty similar cases in court. Roman Likhachev complains that the defendants artificially delay the trial. "Moreover, none of the judges wants to make the first decision in favor of the victims, because it could lead to a dangerous precedent, after which lawyers will be able to get an extra powerful argument in favor of the clients". The lawyer advises those who hope to win the court to prepare well all the relevant documents that would prove that the property claimed in the claim actually belonged to the plaintiff and was destroyed during the ATO. The latter is particularly difficult, because valuation experts simply do not want to go to the village a few kilometers from the front line, because it is quite right to worry about their health and life. P.S. The Office of the Legal Development Network, lawyers of which provide free legal aid, work based on Chuhuiv Human Rights Protection Group. The Legal Development Network Offices are created and work with the support of Human Rights and Justice Program Initiative of the International Renaissance Foundation. You can learn more about activity of Network, basics and principles of work on Legal Space website. More in this category: « "The property has been destroyed ... due to the explosion of warheads"